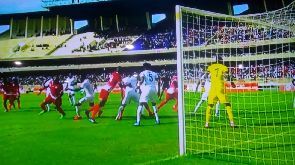 Ghana’s Black Stars, earlier today suffered a lone goal defeat at the hands of Kenya’s Harambee Stars in an African Nations Cup qualifier in Nairobi. The result sees Kenya join Ghana on 3 points in their ongoing quest to secure qualification to AFCON 2019 slated for Cameroon next year. The top two nations in each of the qualifying groups will join hosts Cameroon at Africa’s showpiece football tournament. The PFAG, mother body of all Ghanaian professional footballers, wishes to encourage all members of the technical and playing body to bounce back stronger for the rest of the fixtures ahead. Our belief in the team is unwavering, and we urge all Ghanaians to continue to support Coach Kwesi Appiah and his team as they strive for the ultimate. We remain firmly convinced that our Stars will recover from this setback and refocus to claim victory when they take on Sierra Leone in the next AFCON qualifying group F fixture in October.